Roma: In this interview series, I visit artists in their studios. We’ve met at your home because you don’t have a studio. Is it a deliberate decision? Alicja: No, it isn’t. I just can’t afford a studio. Living in London as a full time artist is enough of a struggle. I had a studio at SPACE studios in Hoxton, which I shared with Joanna Rajkowska, but we gave it up a few years ago. It was rather small and relatively cheap, but still financially not viable. After graduating, my practice changed completely. I started making fewer objects and working in particular contexts, creating situations, performances and videos. I also started working and exhibiting internationally, which meant I didn’t use the studio regularly enough to justify the cost. But still, it would be much healthier to have a workplace of some kind, so I could separate my work from private life. I also miss hanging out with other artists, as working from home can be extremely isolating. Roma: How would you describe the nature of your work? Alicja: Recently, I’ve been mostly creating situations, performances and videos, usually in collaboration with other people. I try to go beyond the idea of art as self-expression of an individual and create temporary collectives of people who have a shared interest or are affected by a specific issue. This is usually dictated by the subjects I’m researching at a given moment and by responding to a specific context. I hate working on my own. My idea of hell is being stuck in a white cube-like room producing works for another white cube, which is what my art education was largely about. Having said that, I obviously exhibit in galleries — it comes with the job description. It’s just that my works are not meant to solely function in the art context and they are usually produced with several different audiences in mind. I want art to exist and be part of different people’s lives, not just the middle class’, educated audience most art institutions cater for. I want my art to be experienced also by people who would never go to an art gallery. In that sense it is a political decision. The recurring themes of my work are agency, body and affect, especially in relation to issues such as labour, economy, class and power. I’m interested in trying to unearth revolutionary, utopian potential in the everyday and creating small shifts in what is politically imaginable and thus possible. 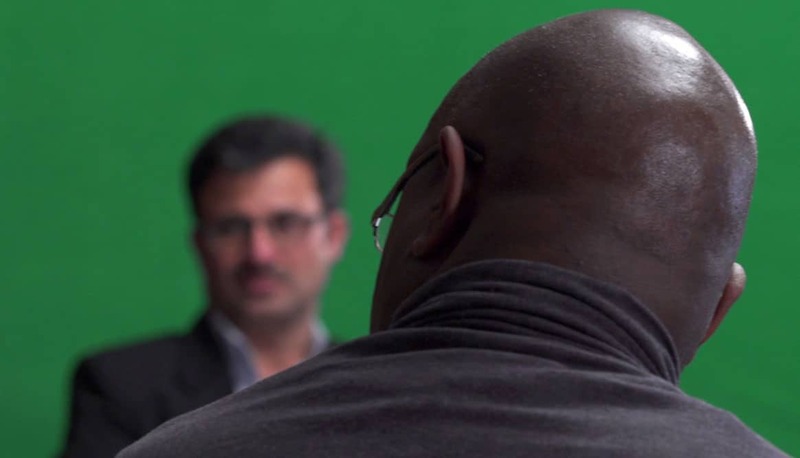 Roma: So you start with performance and then you develop a video, based on that performance? Alicja: I’ve done several projects that were structured in that way, but it’s not the rule. I often translate the immediacy and intimacy of performative situations into a different kind of experience, usually in the form of a video, which then becomes a different piece of work. Sometimes I film the process and there is no final performance. But I have also made installations, board games, songs and conceptual works. Roma: How did you start working as an artist? Alicja: I think I had wanted to be an artist all along, but I didn’t quite know how and what it could mean, having grown up on a small farm in the middle of nowhere. 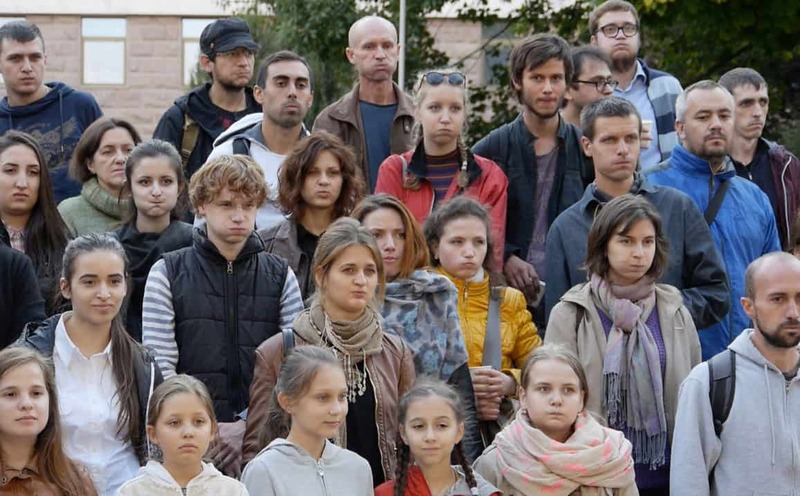 My background is in Cultural Studies – I graduated with an MA from the University of Warsaw. The course was quite intense and experimental, from seminars on Eastern philosophies, anthropology of performance, the everyday and new religious movements through ethnographic field work researching the magic practices of folk healers and witches in Belarus to study trips to experimental theatre groups and hippie cultural activism centres. So it wasn’t such a jump for me to start making art. I specialised in ‘cultural animation’ which is a form of community activism that uses culture as a tool of engagement. After graduating I moved to the UK where I started working as an art educator and on a variety of community and activist projects, but at some point I realised that I really wanted to develop as an artist. That’s why I decided to do an MFA at Goldsmiths in London. I was 30. Roma: What made you want to study art at the age of 30? Alicja: I studied a lot on my own beforehand and attended various courses and workshops, but still didn’t feel challenged enough. 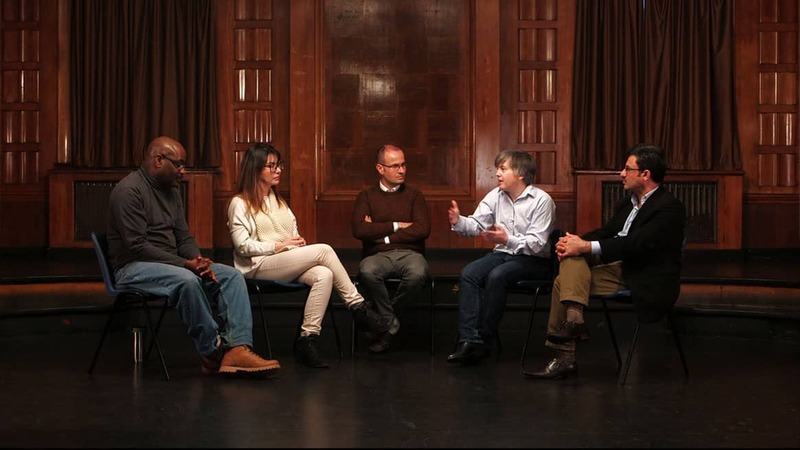 I yearned to be intellectually stimulated and to have a peer group. I was lucky enough to be one of the last students that didn’t have to pay an exorbitant price for my degree. It’s absolutely disgusting how much students have to pay for education nowadays. There’s a lot of ageism in the art world too — by the time I graduated with an MFA, paid off my student loan and barely started my career, I was already considered too old to be a ‘young artist’ and ineligible to apply for many grants, scholarships and other opportunities. Roma: Why did you move from Poland to the UK? Alicja: I came here for the first time in 2003 on a short research trip with Jubilee Arts as part of my degree. I came back again a year later for a longer residency. After that I spent some time in Stockholm on a Socrates-Erasmus scholarship. After finishing my studies in Poland I didn’t really have a plan or an idea what to do next. I wanted to experience living in a different country, also my partner is from the UK, so I moved. We had met during one of my previous stays in the UK. Roma: You are very much interested in work, workers’ rights, wages etc. Where is this interest coming from? Alicja: It’s difficult not to be interested in work because it’s what most people do, most of the time. Our profession defines who we are and how we are perceived by other people. It’s also the place of political struggles — it has always been. Global division of labour and outsourcing means we have a sense of disconnect with people who produce our most basic goods for scandalously low pay. Economic inequality is rising. Despite advances in technology most people work longer and harder, juggling a few jobs and having to succumb to the gig economy just to be able to survive. Women still do the majority of unpaid care work and domestic labour and on top of that get paid less in their professional careers. There is a lot to be done. Roma: What is your most recent project relating to the theme of work? 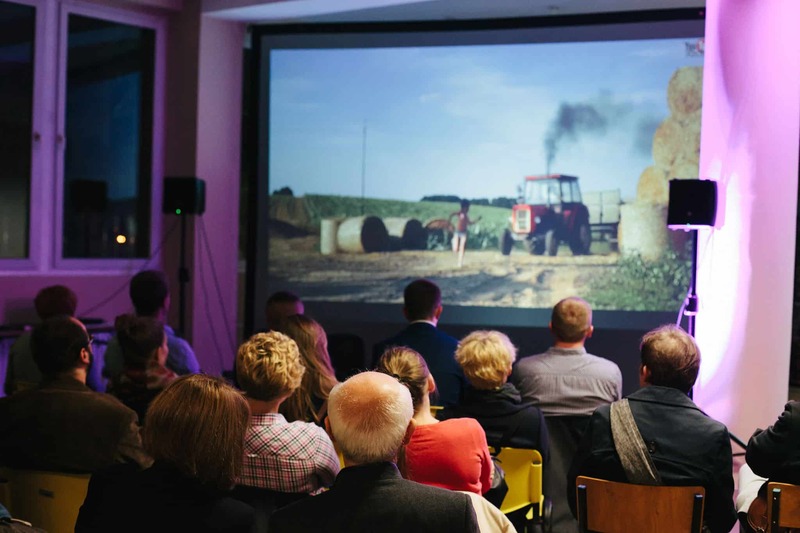 Alicja: I have been commissioned by Morning Boat on Jersey to work on a project exploring working conditions of migrant workers, who are mostly employed in the agricultural sector. I’ve focused on potato production because the Jersey Royal is the island’s biggest and most famous export produce. The potatoes have been harvested predominantly by migrants since their introduction to the island 150 years ago. Currently, the majority of workers come from Eastern Europe, primarily from Poland, Romania and Bulgaria. Jersey is not part of the EU or the UK, so it is difficult for migrants to fulfil the residency criteria. It is ironic that the potato, which itself comes from South America, enjoys a ‘protected designation of origin status’ yet the workers are kept in a migratory limbo and often live and work in appalling conditions. 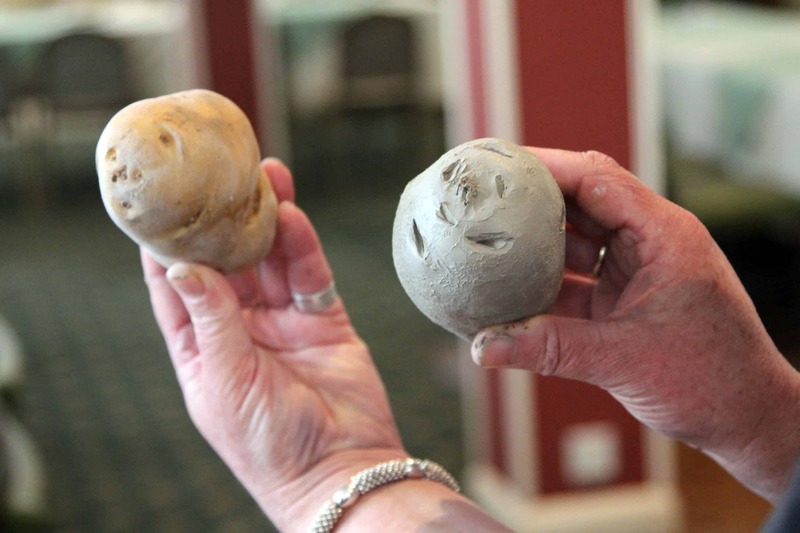 I have invited potato workers to a series of clay potato making sessions — I was interested in tactile memory and how the workers develop a certain kind of bodily expertise through handling tons of potatoes. The meetings were an opportunity to speak about working conditions, experiences and expectations. From these meetings the idea for Agri-care prize was born. The workers will choose the best employer in the agricultural sector. I will go back to Jersey later this year for the award ceremony. The prize will be a potato cast in bronze, with the help of my artist friend Kasia Garapich. Alicja: The other project I’m working on is called Alien Species — Jersey Migrant Worker Archive. Even though migrant workers on Jersey have been an important part of the island economy for over a century, their presence remains largely undocumented. Current visual documentation is limited to marketing material created by industry representatives and employers, or staged photo opportunities with local media outlets. When I was talking to the workers, I realised that they have amazing personal archives of images and films on their mobile phones, documenting their work and daily life. 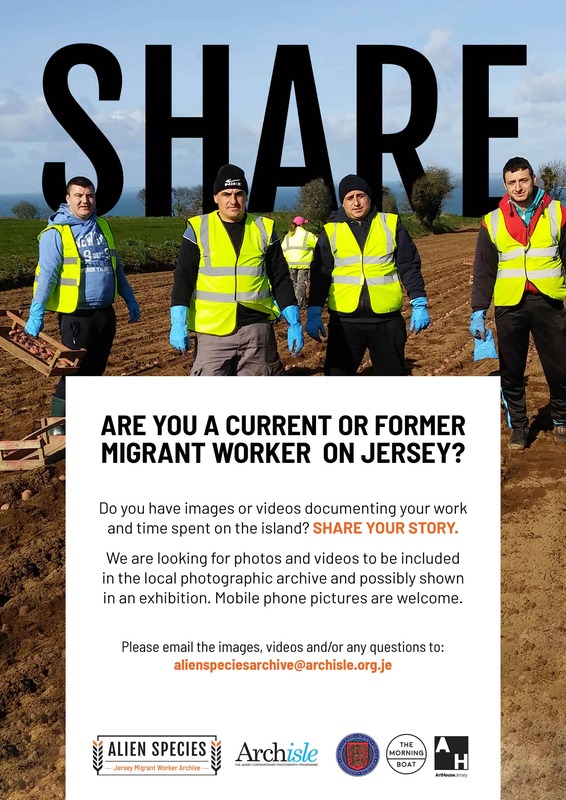 The Archive aims to fill that gap in visual representation of the migrant workforce on the island and introduce the workers’ perspective, which is very important to me. I created a special section in the Jersey Photographic Archives where the workers can donate their photos and videos on a Creative Commons licence. We have already gathered hundreds of images and are planning to exhibit some of them later this year. Roma: A few years ago I invited you to take part in the Artloop Festival in Sopot, where you did The Monument to Precarious Workers. Could you tell me a bit more about the concept of this work? Alicja: I was interested in precarious, seasonal work taking place in this seaside spa town, a lot of it done by migrants, women and students — basically people who are in a desperate need of work and often have no choice, but to accept low paid, precarious opportunities. So I came up with an idea of The Monument to Precarious Workers. It was a public performance involving five people standing absolutely still in the same work-related poses for several hours thanks to a system of metal supports hidden under their clothes. The work referred not only to precarious work conditions in the businesses serving the local tourist industry, but also to flexibility as the new bodily regime of late capitalism, represented, for example, by the popularity of yoga. Roma: Where did the idea for this work come from? Alicja: I had a conversation with one of the guards at the local gallery, who I noticed was on her feet all the time. I asked her about that because it seemed like a difficult task to be standing all day long. She explained that this was a new regulation put in place by her employer, so I started thinking about the impact those regulations have on people’s bodies. Workers not only have to be flexible in terms of working hours, but also in terms of their bodies. So I decided to create an anti-monument of a kind. 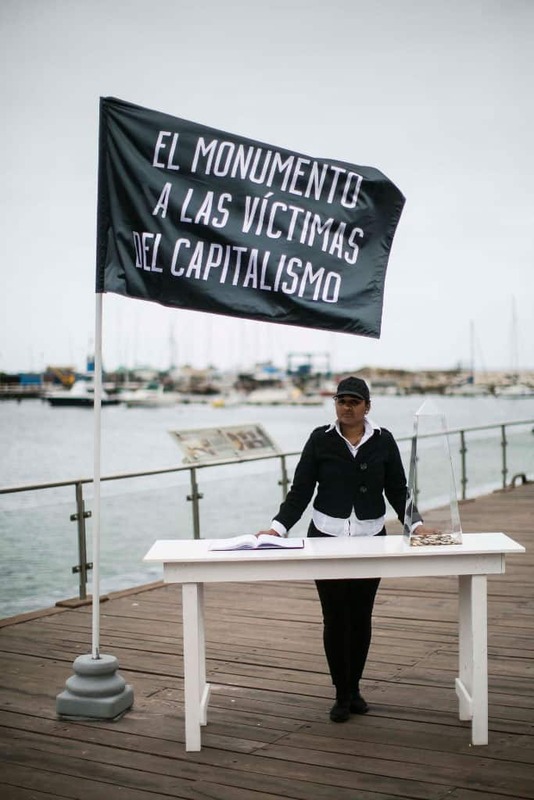 I found people who self-identified as precarious workers and they featured in the monument, being literally ‘stuck’ in precarious, inflexible positions. Roma: What was the reaction of the public? 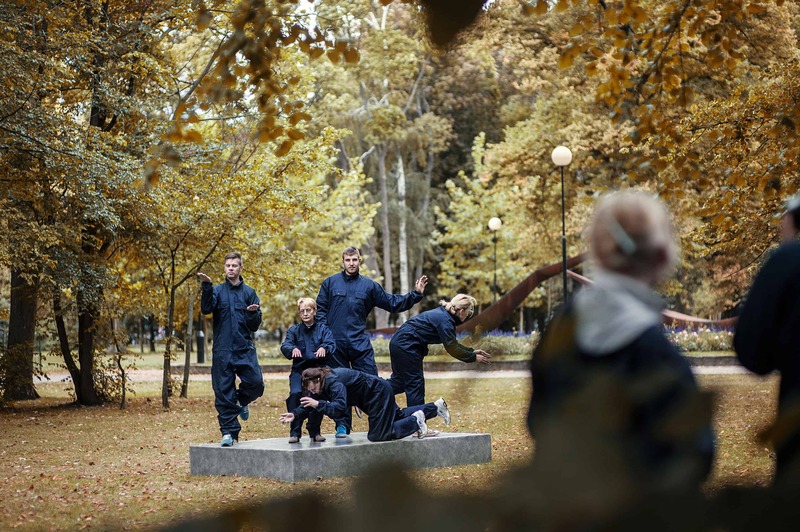 Alicja: The monument was located in a park, with many passersby and obviously the first reaction was bemusement how it was possible for the performers to be in one position for such a long time. Many people stopped and asked questions about what kind of art it was and what it meant. It proved to carry popular appeal, which I wanted to achieve. In my work I really try to work in the public domain as much as possible. Working mostly with publicly funded institutions, I believe I have the duty to actually consider who my audience is and why. I find it really important to reach out to people who wouldn’t normally engage with art and wouldn’t have a chance to be challenged by it. Roma: Could you tell me about your interest in migration, as it also often features in your work? Alicja: I guess a lot of it comes from being a migrant myself. The Brexit referendum made migration-related issues more apparent and it pushed me to deal with them more deeply. My personal situation became more precarious, but, more importantly, the situation of many people of colour. As Eastern Europeans we still have this white privilege over any other non-white minorities. Alicja: I decided to reach out to refugees, asylum seekers and immigrants based in the UK who trained as lawyers in their countries of origin and who personally experienced the injustices of the immigration system. In the meantime, I discovered term ‘legal fiction’ used in legal reasoning when something not true is believed or assumed to be true, for example when the court issues a death certificate of a missing person. There is no evidence that they had died but it is assumed that they did. I asked lawyers to define how they understand legal fictions, especially in the context of immigration law and to invent new legal fictions that could be possible solutions to problems. Law can actually be seen as a fiction which we collectively accept, so perhaps we should start writing a new fiction, more suited to people’s lives? The final work is a video, based on the conversations we had. When I’m invited to screen it, I try to contextualise it further by inviting lawyers and immigration activists to comment on changing laws. Roma: You travel a lot and do projects in different countries. Is travelling an important part of your practice? Alicja: Travelling is not necessarily a choice, it’s the way the art world works and I am the part of it. Living in London as an artist is not easy, unless you do a lot of commercial work, which I don’t. If I’m offered a paid residency abroad with a studio and a production budget, I’ll obviously go, as it is a great luxury. I’m very lucky to get a lot of invitations to work on projects around the world and to be able to accept them. However, it’s very important to remember that it’s not necessarily how things should be. The majority of residencies, for instance, are designed for the figure of a lone male artist who doesn’t have any responsibilities such as children. At the same time, as the art world fetishizes mobility, it excludes many artists who simply can’t travel because of personal circumstances like having children, caring for elderly parents, having a disability, part-time job or not being able to obtain visa. Obviously, travelling is interesting for my work because I work with context and people. I’m not going to pretend that it isn’t seductive. But there are also many issues with this model and how sustainable it is in a long term. Roma: London has a very commercialised art world… what keeps you here? Alicja: Initially I moved here just for two years to study at Goldsmiths, but I gradually developed a community of friends and work connections. My partner is here. A lot of things in our lives are not necessarily a choice — we tend to forget that, or pretend it’s not the case. I’ve been in the UK for 12 years, and 9 years in London, so this is my home now. And to be fair, despite all its flaws and annoyances, the UK has been very welcoming to me. I stayed because I felt welcomed, but the policies of the current government amplify dangerous and extreme positions of xenophobia and racism, which are becoming less marginal. I will be truly devastated if I can’t sustain my life here anymore, which might happen soon, to be honest. Roma: Why do you think so? Alicja: Because of the so-called ‘hostile immigration policy’, constantly changing immigration laws, and also discrimination that I can suddenly feel now, after all those years. The economic situation of artists here also plays a role: not being paid properly, being expected to pay to be considered for exhibitions at publicly-funded institutions. I find it disgraceful. Roma: But you don’t have another job? Alicja: At the moment, I don’t. I lost my freelance job as a video editor last year because of Brexit. I’m in a very precarious situation to be honest, not knowing where my next payment will come from. Roma: How would you describe your life here in London? Alicja: When I’m in London, I do a lot of admin, research, meetings, reading and post-production for my projects, such as video editing. A lot of it happens here in my front room. Roma: So what does your typical day look like? Alicja: There is no typical day, really, it depends what I’m working on. If I’m at home, I usually spend the morning answering emails and working on applications and afternoons researching and preparing projects. In the evening I often go to lectures, performances and private views. More and more of my life is taken up by admin which I don’t really enjoy that much. Roma: What kind of admin? Alicja: It all depends on the nature and the scale of the project. There is a lot of juggling. While working on current projects I constantly have to apply for new opportunities and fundraise. My projects engage a lot of people based across the globe and usually require months of trying to find collaborators, including corresponding with them and host institutions, dealing with language differences, time zones and tasks like booking travel and accommodation, etc. I don’t have an assistant, so I do everything myself. When I work with a bigger institution many of these tasks are done by curators or project managers. If it’s a self-initiated project or a smaller scale initiative then these tasks take up a lot of my time. Roma: Which part of the London art world do you belong to? 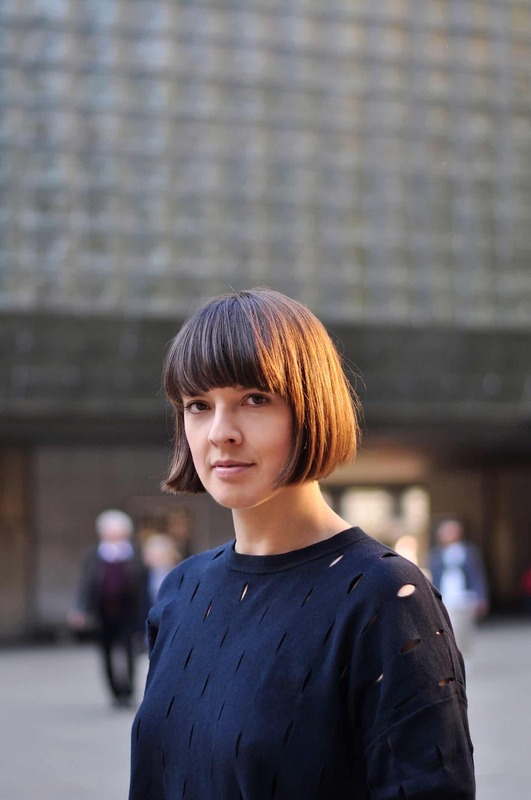 Alicja: I don’t know if I belong so much to the art world here to be honest, because I’m away a lot. But I have some good friends and allies here, such as Rosalie Schweiker or They Are Here, and I have recently completed a bursary for artists working in performance with Artsadmin, who have been extremely supportive. Roma: How much do you work? Roma: Do you keep in touch with any other Polish artists living here? Alicja: Yes, of course. Quite a few actually. It has increased since the Brexit referendum, because suddenly it became more important where you come from. I’ve been recently involved in creating Central Bloc — an informal network of UK-based artists and curators from the so called Central and Eastern Europe. If we are going to be labeled anyway, at least we can own that label! We often face similar struggles — for example not being recognised as a British artist here or as a Polish artist in Poland. Roma: And how about the right-wing tendencies also happening at the same time in Poland. Do you feel that they have any impact on you? Alicja: Yes, I was at the Polish Embassy yesterday protesting against the proposed new restrictions of abortion laws, which are already one of the toughests in Europe. The political situation obviously affects me as a Polish citizen, as a woman and as an artist, but it affects my family and friends back home much more. The ruling party is also trying to impact the freedom of artistic expression, by removing funding from politically undesirable projects, especially any that could be defined as left-wing. Roma: What are you currently interested in? Alicja: I’m currently working on several projects that are concerned with the idea of the future. 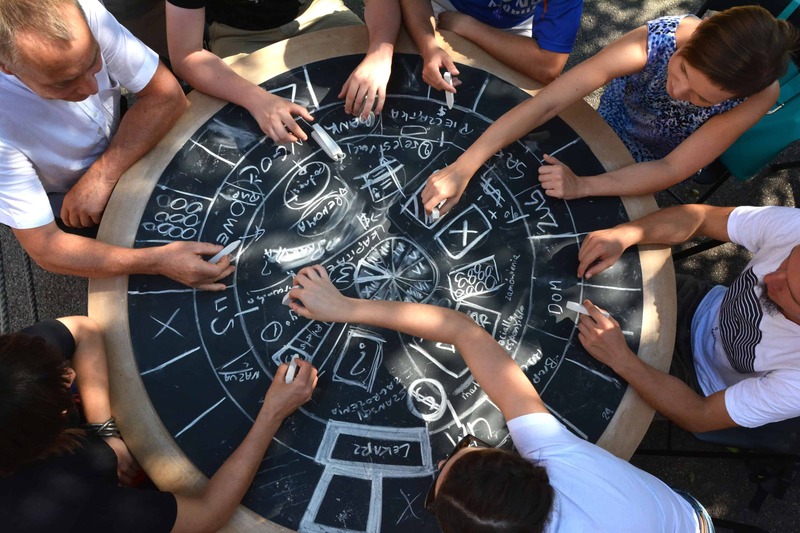 When we think about the future, we often stop on the level of technological progress, but we need to urgently think about political, environmental and societal questions and alternatives to the current socio-economic system. Another strand of my work is about trying to reclaim the domain of affects and emotions, which has been successfully used and abused by the right, for left-wing emancipatory politics. Feminism is also becoming more and more important to me. We live in the age of rising fascism. I believe art and artists have the right tools to undermine it. I’m working on a new commission by a London-based organisation Arts Territory for The Illusion of Return project. I was meant to reflect on my personal experience of migration, but I’m actually more concerned with the rise of right-wing, xenophobic and racist tendencies, so my project will be about the illusion of return but to the mythological idealised version of the past, which is one of the characteristics of fascism. At the end of May, I’m going to an interdisciplinary symposium in Melbourne where I will present the first version of the project. Artists’ place in the society allows them to experiment with ideas and I think it’s our duty to put these ideas to a very specific and urgent political work that needs to happen. We need to create alternatives for the future and we need to create them now, collectively. ‘Studio Visit’ is a series of interviews conducted by Roma Piotrowska with most interesting Polish artists living in the UK. They discuss their artistic approaches through the prism of the everyday life and recent socio-economic transformations in Britain and Poland. Many of these artists left for the UK shortly after Poland joined the EU in 2004. Thousands of young people, including many artists, found their new home here, studied and matured artistically. In 2019 the UK will step out of the EU, so the present moment seems to be just right to describe a completely new generation of Polish artists. Conversations take place in artists’ studios or houses.